THE FIRST YEARS OF THE BLESSED VIRGIN'S LIFE. "Who is she that cometh forth as the morning rising ?" —Cant. vi. 9. 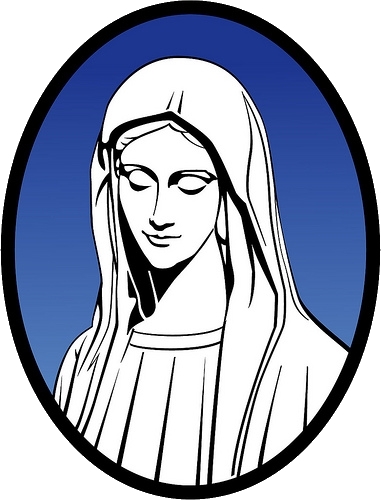 This evening, with the help of God, we are going to begin the account of Mary's holy life. Let us study it with devotion, and let us ask for grace to discover and to love the lessons it contains. In a certain province of the land of Judea, which had formerly been given by God to His own people, but which was now delivered up to the dominion of foreign masters, in punishment for the sins of the chosen people, at Nazareth, a little town of Galilee, lived in the fear of God a wedded pair named Joachim and Anna. They were of the royal race of David. They had served God faithfully throughout a long life, and now they saw with sadness the approach of old age, for the joy of seeing their lives renewed in their children had not been granted to them. This holy couple bore in humble obedience both the solitude of their home and the shame which the general belief of the Jews cast on the sterility of their union. This grief, borne with patience, prepared them for the greatest grace that God had ever granted to a human creature. It was under this solitary and despised roof that the new shoot from the stem of Jesse was about to blossom, that the Blessed Virgin, so long promised and expected, was to be born. A pious tradition relates that an angel of the Lord appeared, first to Joachim and then to Anna, to announce to them the Child whose coming was to turn their solitude into joy. Mary, the most pure Virgin, was conceived without sin. No spot came near her whom the angels already hailed as their Queen. Anna, as humble in joy as in sorrow, received her beloved daughter into her arms, gave her the sweet name of Mary, which is said to signify Star of the Sea, and from this moment her whole life was devoted to this child of benediction, whom new graces made daily more beautiful. She nourished her with her milk, day and night she tended her. How must she have loved this child, so long desired, and obtained from God by so many prayers and tears! With what love must she have bent her grey hairs and aged countenance over this young and lovely child! How must her heart have beat for joy when she showed those who had so long despised her that God had at length had pity on His servant! But were they merely human feelings of tenderness which the sight of her daughter awakened in the heart of the holy Anna? No; Whilst she pressed her to her bosom with :all a mother's love, she felt deep in her soul the reverence she owed to this spotless creature. She knew that God had given her her child, not for herself, but as a sacred trust, for which she would have to answer. She knew that God, in His goodness, had preserved her child from all stain, but she knew also that it was her duty to cultivate and render fruitful the wonderful seeds which He had implanted in this young soul. The first word which Mary heard from her mother's lips was the holy name of God. The first affections of her heart were directed towards Him. Joachim shared the cares of his holy spouse, and the angels in heaven must have rejoiced at the sight of this blessed family. Let us often think of the cradle of Mary, of this humble dwelling from whence prayer rose as a sweet-smelling incense, towards heaven, and in which the innocence of the holy child shone with such pure radiance. Anna and Joachim lived for her alone ; but their generous love offered her daily to the Lord, and they prepared to accomplish the sacrifice by separating themselves from their beloved daughter. Often, says a pious legend, did Joachim remind Anna of the promise they had made to God of offering their child to Him, that she might be brought up in the temple with the maidens consecrated to the Lord. When the time came the holy Anna had not a thought of keeping her treasure to herself. On a certain day a beautiful procession was seen outside the dwelling of the holy pair. The young maidens of the tribe, in festal robes, and bearing lighted lamps, came to fetch her who was one day to be called the Queen of Virgins. Joachim and Anna left their home, taking with them their child, and though tears flowed from their eyes, their hearts, raised above earthly regrets, praised God in a canticle of love and gratitude. They reached Jerusalem, and without delay, with their feet still covered with the dust of the journey, they presented themselves at the portico of the temple. It is said that Mary here left her mother's arms, and mounted the steps of the temple alone, and with unfaltering^ footsteps, no longer needing the support of the hand which up to this time had guided all her steps. " Joachim and Anna watched her advancing towards the tabernacle of the Lord, and their eyes were wet with tears." But they offered their only treasure to God with a good will. Mary was received by the high priest, and led into the midst of the young maidens brought up in the temple. Anna and Joachim offered a sacrifice to God and then departed, returning slowly towards their solitary home, leaving behind them her who had made its joy, but preserving in their hearts that happiness in sacrifice, that peace in the midst of sorrow, which reward and strengthen faithful souls. Let us pause here. This is the first chapter of our history. Let us kneel by Mary's cradle, and receive from the child, and from her holy mother, the first lessons which this account should teach us. It has examples for all ages, for every position in life. Has not the interior of this holy house, the sight of which made the angels rejoice, many lessons for us ? Have not many of us, like Joachim and Anna, received from God a sacred trust, of which we must one day render account ? Have not many of us, like them, little innocent beings to bring up for Him? Our children, doubtless, have not, like the spotless Virgin, been preserved from the stain of original sin; but the Blood of Jesus Christ was shed for them, the holy waters of baptism have flowed on their brow, have washed away that stain, and have replaced it by the eternal sign of salvation. They are children of God; they have an immortal soul; and to us this soul is confided, that our love may cultivate the blessed seeds which God has implanted in it. There is not any mother who does not love her child, who would not give her life for it; but in spite of this are they all faithful to the holy mission they have received from God ? It is not a virtue to love one's child; it is an almost involuntary instinct of the heart; it is an instinct which God has planted in every creature. Do we not see, even among animals, that the mother loves her young, and gives it the food of which she deprives herself? Do not even the most timid become fierce in defence of their young? The poor frightened hen gathers her chickens under her wings, bristles up her feathers, and with open beak and eye gleaming with anger, threatens from afar the enemy who approaches her brood. We love our children by an irresistible instinct, but to love them for God is a real virtue. To bring them up for God is the wonderful and fruitful work in which we recognize the intelligent being, the Christian father and mother, faithful to their holy mission. No one, unless he be a Christian, can consider his child as a sacred trust received from God, and keeping this thought constantly before his eyes, banish from his love all selfishness and weakness. We were speaking just now of the reverence of St. Anne for the child whose high destiny she foresaw. But is there any Christian mother who ought not to feel for her child a reverence almost as great ? She knows that this child, who sleeps in her arms, this frail creature who lives only by her care and love, can one day gain a seat in the glorious assembly of the saints. The brow on which her lips are pressed may be encircled with the glory of the elect 1 And to whom, next to God, will he owe such glory and happiness ? To his mother, who nourished and educated in him the life of the soul, as well as giving him the life of the body. 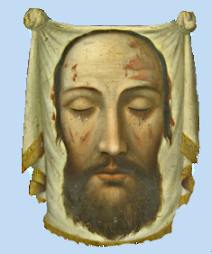 Yes, it is for her, a poor creature, suffering and weeping, in this miserable life, as her son will one day suffer and weep, it is for her to place her son on the road to heaven. It is from her mouth that he will receive those early lessons which he will never forget. No words can express all a mother can do for the eternal happiness or misery of her children. The first lessons they receive on her knee will have the greatest influence over their whole lives. God has placed in her arms a child cleansed from original sin by baptism; he is innocent and pure as an angel. She must take heed to preserve without stain the child whom God has given her. The first words which strike his ear, even before he can understand them, must be good words. The first actions which strike his eyes, as soon as his understanding awakens, must be good actions. She must reverence him as the holy Anne reverenced the infant Mary. It is told in the life of a celebrated doctor of the Church, that his father knelt at night by the cradle in which his son was sleeping, looked long upon him with holy emotion, and then, uncovering the breast of the child, he kissed it with reverence, as the temple in which God loved to dwell, because of the purity of infancy. We must reverence our children! We ourselves shall gain by it, and whilst our love will preserve them from all contact with evil, their innocence will preserve us from the evil which we avoid for their sakes, and which, perhaps, we should not have avoided for our own. Then, seeing in their parents the pattern of the good which has been taught them, the children will reverence them also, and good parents will leave behind them Christian sons to close their eyes, and to continue their good works. O Mary! so gentle, so obedient to thy holy mother; O Saint Anne! so tender, so wise with thy holy child, pray for us. Teach all children to love and reverence their parents; teach all parents to bring up, for God, the children He has entrusted to them, to reverence their innocence, to place them in the path which leads to heaven. Bless us, dear mother, bless us all, high and low, and may thy sweet prayers obtain for each of us the knowledge of our duty, and the grace to accomplish it. To have a great reverence for little children. To endeavour to prepare them for a Christian life, by moulding them to good. To strive to become better ourselves, in order the better to educate them.